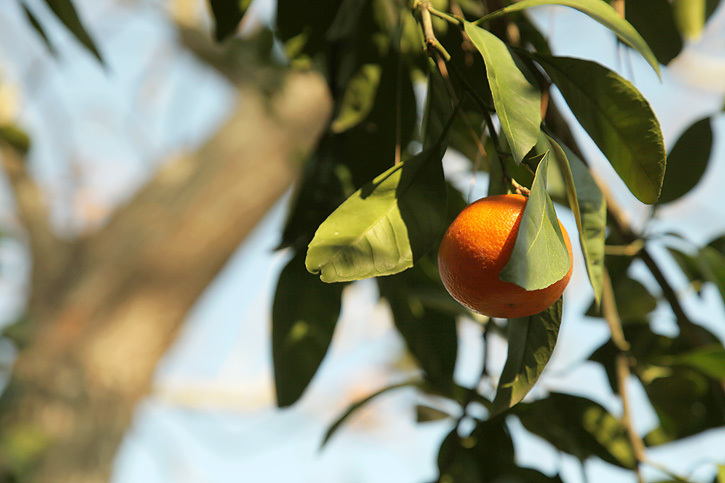 Today I'm sharing a little bit of orange picking that we did over the holidays. It's time to link up again and there are just a few rules. Okay, now let's see what you're sharing today... just link up below! Those oranges look so yummy!! And what a fun time - I have only ever picked apples..... great!! Looks fun, I've never picked oranges I don't think. I'm so jealous that you were able to go orange picking! It's freezing here today. Great shots! That is so cool....never been orange picking! I would love to have an orange tree! Great photos...the first one is my favorite. Makes me think of when we lived in Florida. I love the warm weather!!! What beautiful photos...it looks so warm! That last photo of the orange is stunning. I never picked oranges before. But we had an apple orchard on the farm where I grew up. How fun! I'll bet freshly picked oranges are great. PS I've never seen them on the tree in real life so I would've been too giggly to get any good pictures (I'm silly that way). Interesting - we pick apples and peaches here. It looks like the trees are in your back yard? They must give off a great fragrance! Those look like they'll make some great orange juice! I have always wanted to go orange picking! Very cool! picking oranges looks really fun! I'm sure they taste so much better than what we can get in a supermarket here. 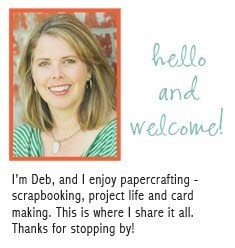 What a great time Deb. Brings back so many memories as a kid of going to my grandparents house & picking all the fruit in their back yard. Miss that! Oh I love oranges, I have been eating a lot of tangerines at the moment. Yummy!!! It must be grea to have your own orange tree. Do you make your own marmalade? How fun, love that last shot! How wonderful to pick your own! And that last shot says it all. It looks so warm! :) Linking for the first time. Really enjoyed these while drinking my OJ! Love the last shot. Lovely shot of that orange Deb! Oranges? Green leaves on trees? That feels worlds away from here. WOW oranges in december? Or summer holidays? not sure. Anyway lovely shots. Since i finished my 365project (end of dec) I must admit Ive not picked up my camera properly in a while. But I aim to change that. Thanks for this link up party. Great shots! :) Those oranges look delicious. 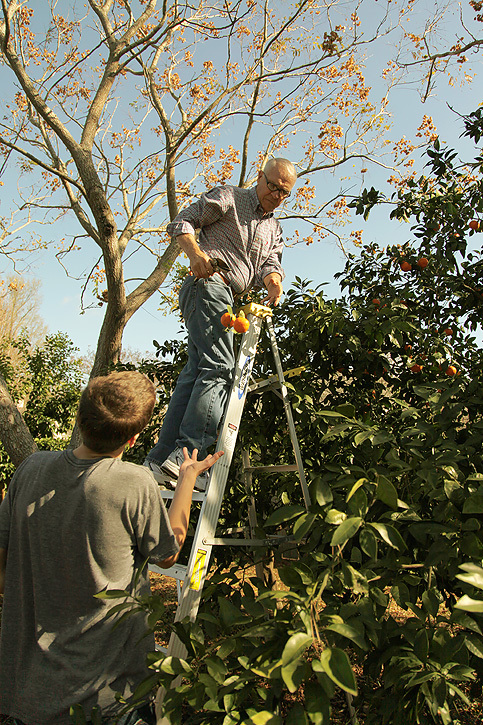 Picking oranges in January?? ?....not fair. But it sure looks like you had a great time with your family. Thanks again for hosting this each week. Love that last shot! They look delicious! Love these photo, Deb! The perspective on the first is great!! What a fun thing to do!! I've picked berries before but never oranges! Looks like fun, I too have been neglectful of my camera since December, but yesterday I ventured out and it felt good! :0) Love that last shot! Wish we could grow them here. I have picked apples before but never oranges. Great pics. Looks like fun! And those oranges look yummy! Collection of beautiful pictures, I love oranges. What fun & what gorgeous colours! Lovely imaes, Deb. Lovely to spend a winter in t-shirts. Great pics! Makes me want to go someplace warm! Looks like fun! I really want a tree like that. Oranges from your own tree! That is awesome. I wish we could do that here. Beautiful images! first, wow! 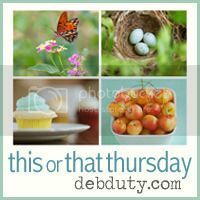 i didn't realize you did a link-up on thursdays!! :) i will be here next week!! 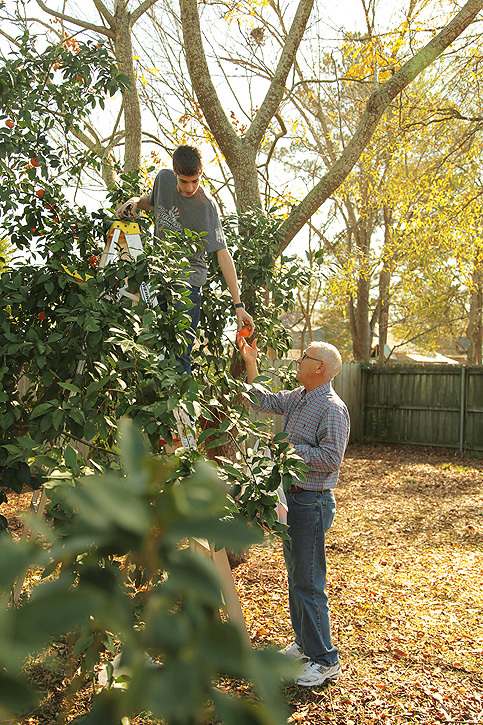 love the photos from the orange picking.. now, i'm wondering where you live?! :) new orleans? fla? somewhere in between that's warm enough to have citrus? or maybe you visited someplace warm over the holidays?